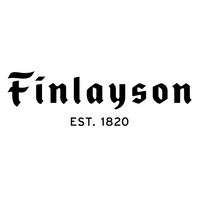 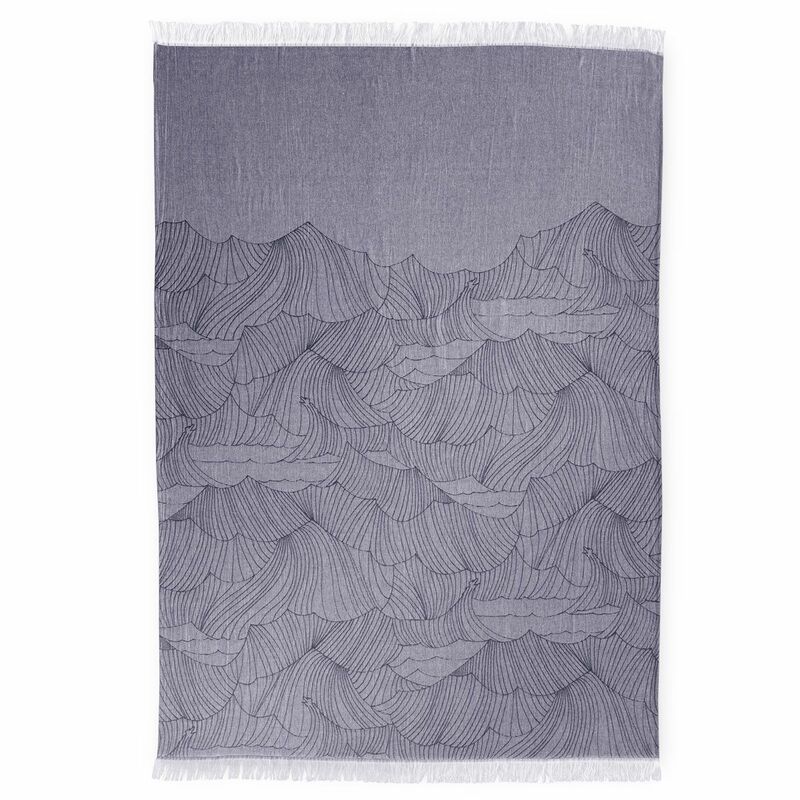 More about Finlayson Tyrsky Blue Throw Blanket Tyrsky is a word for the waves that break against the shore, and designer Anu Kanervo's minimal lines beautifully depict just that. 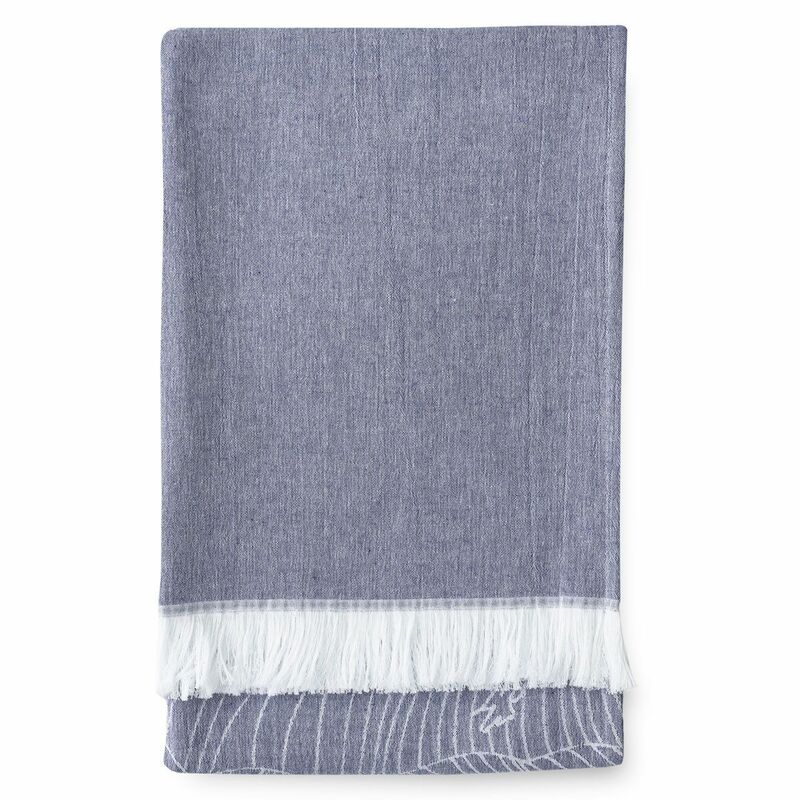 In a soft denim blue with silky white fringes, this lightweight cotton blanket is a modern take on nautical design in Japanese style. 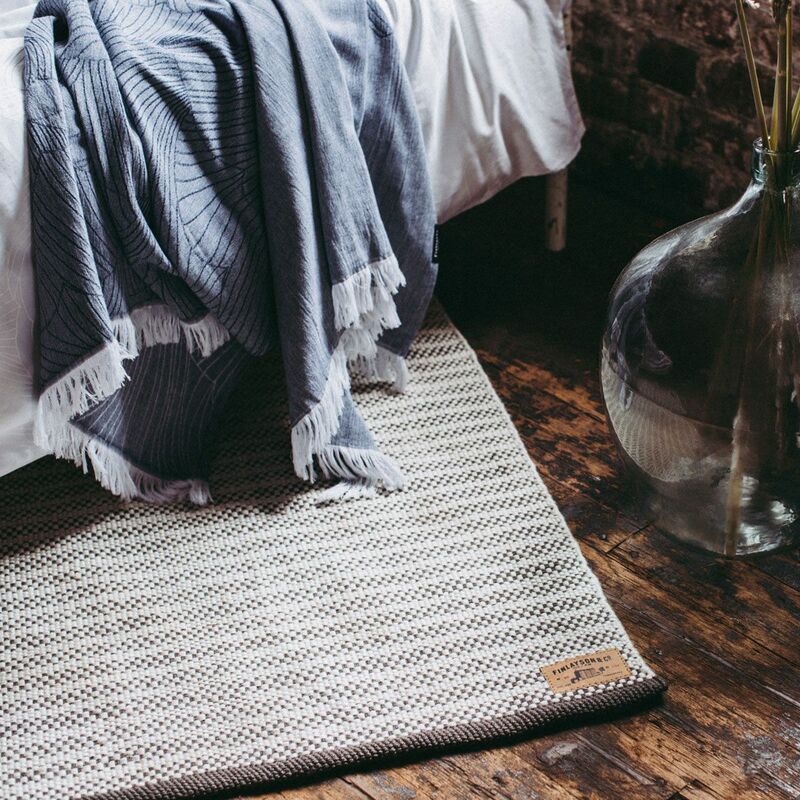 This throw will look lovely draped across a sofa back or folded at the end of the bed, and provide breathable coverage when snuggled up on the sofa throughout the season.